The House Armed Committee hearing. The newspapers have extensively covered the statements made by James N Mattis, US Secy of Defence and Joseph F. Dunford, Chairman of the Joint Chief of Staff at the House Armed Committee hearing. How about putting our RM and Chief of Armed Forces to answer searching questions under a parliamentary committee. There is no aide to help out. One has to be one his own. MPs need not worry. They can employ experts to help them understand issues on National Security and draft questionnaire. People like me who are loath to appear before the idiot box and available. DID CHINA USE WATER AS A WEAPON IN THE DOKLAM STANDOFF? Editor’s Note: This is the tenth installment of “Southern (Dis)Comfort,” a new series from War on the Rocks and the Stimson Center. The series seeks to unpack the dynamics of intensifying competition — military, economic, diplomatic — in Southern Asia, principally between China, India, Pakistan, and the United States. Catch up on the rest of the series. NEW DELHI: Within days of India announcing plans to assert its right within the Indus Water Treaty with Pakistan, China said it was building a dam on a tributary of the Yarlung Zangbo, as Brahmaputra is known in Tibet. This will be its 'most expensive hydel project'. 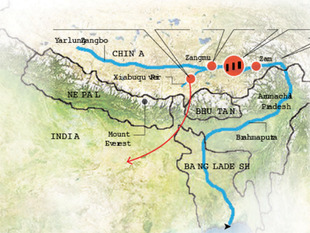 Here's all about the project, the tributary and why India worries about the project. Like all countries, India faces the reality that modern biotechnology is unlocking many advances in healthcare, food and energy security, and environmental conservation. At the same time, these same breakthroughs are ushering in a host of potential threats, including biological warfare and irreversible alterations to the human gene pool. To navigate this complex policy landscape, India needs to craft a more streamlined regulatory system and take other concrete steps to support growth in its domestic biotech sector. Doing so would likely help New Delhi—a much-needed voice from the developing world—vie for a chance to play a leading role in discussions on global governance, as nations begin formulating responsible global standards in response to recent biotech innovations. India's Rohingya Policy: Is it Legally Sound? When Union Home Minister Rajnath Singh labelled Rohingya refugees in India “illegal immigrants” he was patently wrong. The difference between illegal immigrants and refugees is quite simple – choice. An illegal immigrant chooses to cross borders, while refugees have no choice, migrating because of extreme duress in their normal habitat. The question in the legal sense, from the Indian point of view, is different. First, does it have a legal obligation to abide by the UN Refugee Convention to which it is not a member? Second, at what point are its legal obligations to refugees trumped by the need to maintain domestic law and order? Today marks the 100th anniversary of one of the key moments leading to the Allied victory over the Axis powers in World War II. Don’t worry, your math is not wrong. Oct. 3, 1917, is the centennial of General John J. Pershing’s inspection of the 1st Infantry Division at Gondrecourt, France. This obscure event would not only have significant repercussions for the American effort in the next world war, but also offer lessons for leadership development in the U.S. military a century later. The first-ever Param Vishisht Seva Medal of the Indian Army was awarded to Lt Gen B M Kaul in 1960, notably for the successful completion of Operation Amar – the construction of 1,450 barracks/family quarters for troops in Ambala – which was inaugurated by the Prime Minister on August 20, 1958. This project was the brainchild of the Defence Minister VK Krishna Menon. To save on cost, the project entailed using troops as labour for the construction. Gen Thimayya, the Chief of Army Staff, was opposed to the project, but during his absence for a visit to the USA, Maj Gen B M Kaul, then General Officer Commanding (GOC) of 4 Infantry Division at Ambala, directly approached the Defence Minister and got the necessary approvals. The famous Red Eagle division rose to the occasion under his dynamic command and successfully completed the projected in a record seven months. Sixteen years into America’s war in Afghanistan, the Pentagon has a new strategy it says will help bring the conflict to an end. A large part of it: Intensifying the U.S.- and NATO-led air campaign in order to drive the Taliban to the negotiating table. 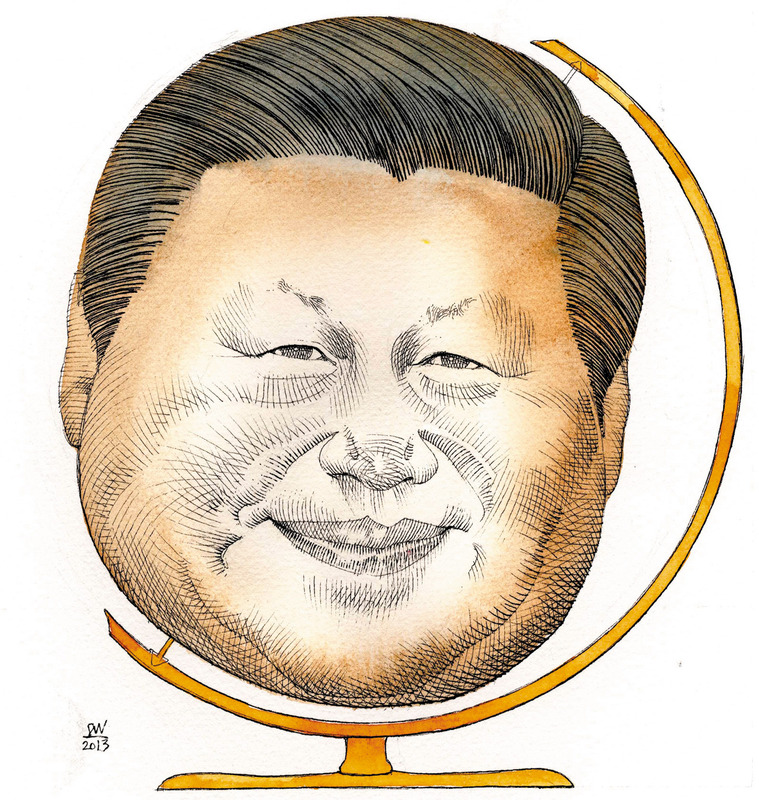 A Water War in Asia? Tensions over water are rising in Asia – and not only because of conflicting maritime claims. While territorial disputes, such as in the South China Sea, attract the most attention, the strategic ramifications of competition over transnationally shared freshwater resources are just as ominous. Tensions over water are rising in Asia – and not only because of conflicting maritime claims. While territorial disputes, such as in the South China Sea, attract the most attention – after all, they threaten the safety of sea lanes and freedom of navigation, which affects outside powers as well – the strategic ramifications of competition over transnationally shared freshwater resources are just as ominous. Sharing an article on India China relations. India–China relations have always been shaped by contradictory factors, with forces of cooperation limited by competing geopolitical ideas and interests. This complex model of interactions has served both sides reasonably well, and attempts to elevate one mode of interaction as the dominant one have invariably failed. The recent Doklam crisis showed that, despite efforts from both sides to transform the relationship to one of outright rivalry and confl ict, the basic framework proved resilient enough to pull back both countries from the brink. The race to rule eastern Syria after the defeat of Islamic State in Iraq and Syria (ISIS) is quickly and quietly escalating into a focal point of US-Russian tension and competition. The US-backed, Kurdish-majority Syrian Democratic Forces (SDF) and the Russian-backed Syrian regime are conducting separate, but competing, offensives in Deir al-Zour Province, ISIS’ last remaining territorial stronghold. The United States and Russia must not only jointly work toward de-confliction, but also recognize the dangerous fluidity and deep influence of local dynamics in shaping the post-ISIS future. Over the last two years, U.S. banks and government agencies have enjoyed a notable respite from malicious Iranian cyber activity. The timing of this drop-off happens to coincide with the signing of the nuclear deal with Iran in 2015. Now with U.S. President Donald Trump threatening to walk away from the nuclear deal, cybersecurity experts say it is likely Iran could resume its attacks against Western targets should Trump actually follow through with his threat. Based on the principle that transformative world events are not random, but are in fact predictable, Stratfor develops decade, annual and quarterly forecasts. These forecast are built upon Stratfor’s geopolitical methodology, our framework for identifying and forecasting the fundamental trends shaping the international system. Below are the global trends highlighted in Stratfor’s forecast for the fourth-quarter of 2017. The complete forecast is available at Stratfor Worldview. 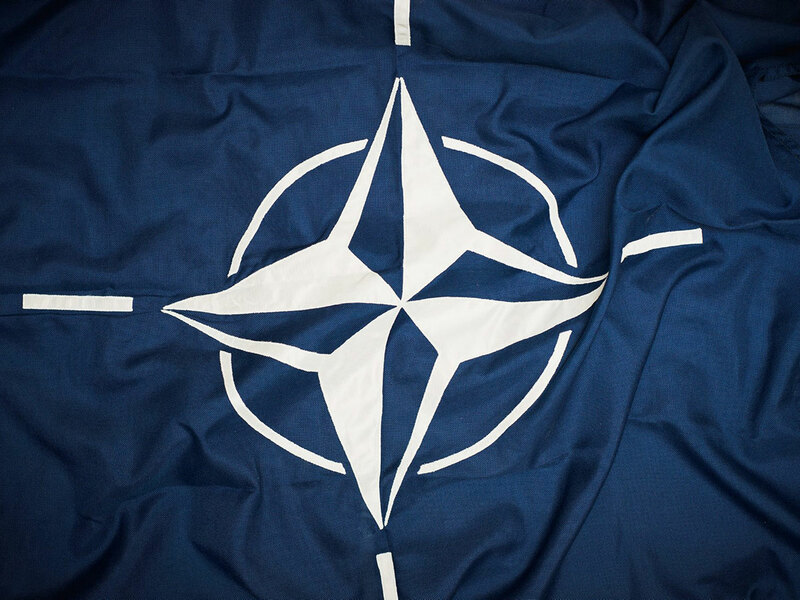 In this article, Uwe Hartmann explains that the hybrid warfare threat facing NATO is only going to become more complex, unpredictable and demanding. As a result, he contends that NATO and its member states must strengthen their resilience. So how can the Alliance make this happen? To find out, Hartmann looks at 1) the principles in strategy-making that help enhance resilience; 2) NATO’s strengths and weaknesses in such strategy-making, and more. If we had to go to war tomorrow, could our defense manufacturing sector keep up? And are we willing to gamble our national future on the answer? The White House has wisely decided that these are questions better not left to chance. The Trump administration’s recent executive order directing a review of the defense industrial base is predicated on the insight that the health of the defense industrial base is as much a component of our national defense as any aircraft carrier or main battle tank. Gen. Joseph Dunford, the chairman of the Joint Chiefs of Staff, echoed this sentiment when he warned the Senate about our “increasingly brittle industrial base.” The administration’s ongoing review provides the best opportunity in decades to think holistically about the industrial base — from workforce education, to plant and shipyard capacity, to regulations, export controls, and beyond — to ensure continued American technological superiority and military dominance. Since the turn of the millennium, war between nuclear powers has never loomed so near. As North Korea sprints toward the finish line in its race to build a credible nuclear deterrent, the window of opportunity to stop it is shrinking. With time running out, the United States may yet launch a preventive strike against Pyongyang's nuclear and missile programs, convinced that military intervention is the only way to halt its smaller adversary in its tracks. Russia has opened a new battlefront with NATO, according to Western military officials, by exploiting a point of vulnerability for almost all allied soldiers: their personal smartphones. Last month, a poll found that a majority of Americans now support military action against North Korea if diplomatic efforts to resolve the crisis fail. While the United States undoubtedly possesses the military hardware and capabilities to deliver an effective strike on Pyongyang's nuclear facilities, retaliation by the North is highly likely to occur. While this could of course come in the shape of one of the regime's much vaunted intercontinental ballistic missiles armed with a nuclear warhead, observers believe the north's artillery would almost certainly inflict devastating damage against the south, regardless of the missile program. Early in his administration, President Trump signed a directive outlining a strategy of pressure against North Korea that involved actions across a broad spectrum of government agencies and led to the use of military cyber-capabilities, according to U.S. officials. Judy Asks: Can Spain Keep Together? Unfortunately not—the Catalonian crisis will be the biggest challenge Europe will face since the Balkan wars, and may lead to the end of Spain as we know it. 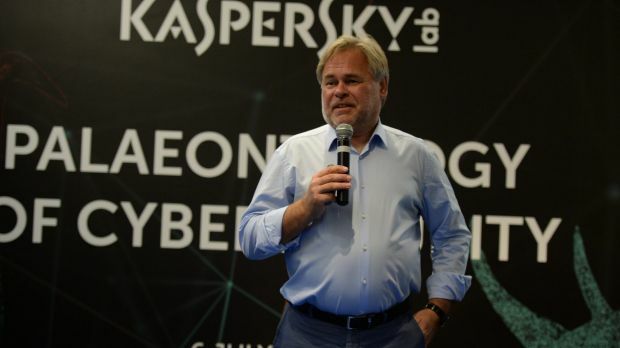 Eugene Kaspersky isn't your usual Russian billionaire. He'll discuss the wonder of walking in the Kimberleys (where he was, again, earlier this year) and the look of the desert, rather than the thrill of driving very fast cars (although he'll wax lyrical about that, too). Hello? Any readers still there? Cyber Command no longer acts like a five-year old, but is ready to grow up. It is the latest step in a 20-year journey. The Trump administration has ordered the elevation of the National Security Agency and U.S. Cyber Command; now the discussion can turn to the more important issue, the separation of their dual leadership. 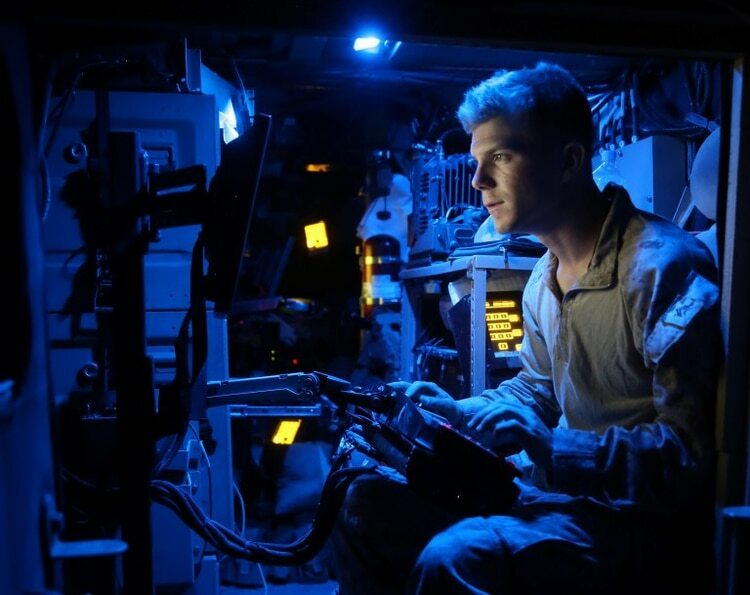 The Army is continuing to evolve concepts to fight and win in future operating environments, which will increasingly involve digital means of combat effects. What will these capabilities look like, and how will they impact the overall force structure?